There are 3 new listings(in Lakewood) that I want to share with my readers. The highest priced one is $210,000(first picture) and it is located at 620 OakRidge Ext. This is a four bedroom,three bath brick home. This home was built in 1994 and features 2788 sq feet heated and cooled area and 2900 sq ft under roof. The basement includes a two car garage and workshop area. The one acre lot touches the lake but you cannot see that lake because of all the trees behind the house(lake is behind house also). If you pay the $200 annual homeowners membership fee then you will have access through the members gate on the main lake. 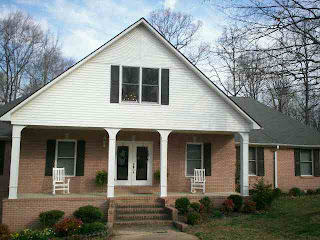 The second listing(second picture)is a four bedroom, two bath brick home built in 1993. This home has 2791 sq ft of heated and cooled area and 3370 sq ft total under roof.It is located at 33 Holly Lane and sits on 1.05 acres. This home is also surrounded by trees and has no view of the lake. 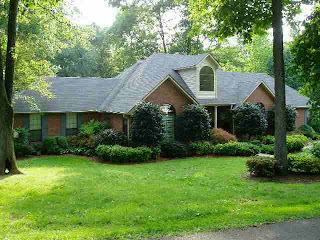 This home is located on a cul de sac and is priced at $199,900. The third listing(third picture) is also priced at $199,900. 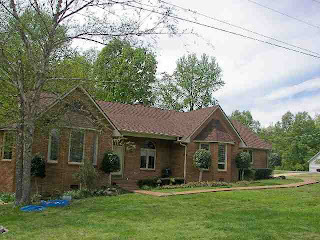 It is a brick three bedroom two bath home(with two car garage) on a corner lot(1.5 acres). It was built in 1991 and features 2582 sq ft heated and cooled area and 3290 sq ft under roof.This home is also not on the water but with membership you would have full access to all the lakes. How bout a Lake Wood update, it's been awhile. Still waiting for the right house in D-berg. Thanks for posting.